The Ladycup is offered in a wide range of tastful, attractive colors and comes with a cute, patterned carrying bag. It comes in 13 attractive colors like orange, gree, pink, strawberry, turquoise, and yellow. With so many choices, the Ladycup will add a little smile to your period. (Though it should be noted that, unlike other cups, the Ladycup is not dye-free). 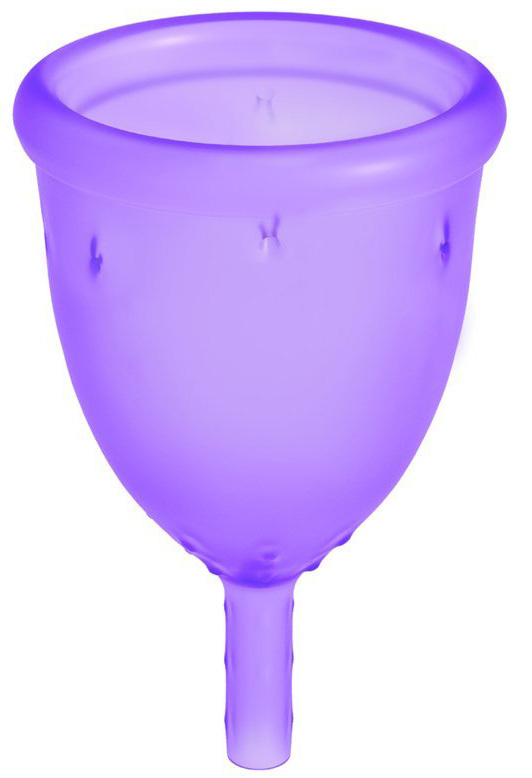 The cup itself is made of the higest grade medical silicone and has a ridge-free exterior with only some gentle texture where the base meets the stem for ease of removal. It comes in two sizes, though the smaller one is quite a bit smaller than other menstrual cups and would even be appropriate for a teen user.